Aprilia bikes price starts at Rs. 68,417 for the cheapest bike SR 125 and goes up to Rs. 25.68 lakh for the top model Aprilia RSV4. Aprilia offers 11 new bike models in India. SR 150 (Rs. 74,189), SR 125 (Rs. 68,417) and SR 150 Race (Rs. 82,789) are among the popular bikes from Aprilia. In the year 2019/2020,	Aprilia is going to launch 5 new models in India. Select a Aprilia bike to know the latest offers in your city, prices, variants, specifications, pictures, mileage and reviews. Q. Aprilia 125 lena chahiye ya Activa 5G ya TVS NTORQ? Q. How much the on road price? And how is the performance of bike after using few months? Q. It takes atleast 20 to 25 min to start in the morning. I tried by self start and by kick too but it takes time. Any suggestion please. Q. Which scooty is best? Q. Tell me the reason why I should go for this bike instead of Yamaha R15v3 means what are the differences between this bikes? 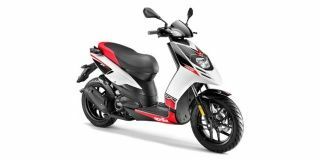 Q. I'm confused between ntorq 125 and aprilia sr 125. which scooter i should buy? Mugello plays host for Aprilia’s latest superbike sensation, the RSV4 1100 Factory. It is undeniably better than ever before, granted, but is it better than the Panigale V4? The SR 150 ruled our hearts with its performance and handling capabilities. And now the SR 125 is here, promising us the same kind of character while being lighter on the pocket. So does it live up to our expectations? I’ve ridden the standard SR 150 in Delhi but wasn’t quite convinced with its daily usage capabilities. Does the SR 150 Race come across as any different?